Star Trek has been impacting the lives of fans for over 50 years now as a symbol of exploration, society, technology and more. When we discuss the lack of diversity in STEM (Science, Technology, Engineering, and Mathematics) fields, “representation” and “mentorship” are two factors that are always brought up. We understand the necessity of having people we can relate and look up to, especially in times of difficulty. As a white woman in STEM through my career, I certainly was lacking in representation in my mentors, though not as much as POC or especially WOC. I can so clearly point to the first example in my own life that highlights how important representation is, and that was my first time seeing The X-Files. I had carrot-red hair, and was far too young to be watching that show! However, seeing a woman with red hair in a lab coat stuck with me. She was rational, scientific, and extremely tough. She was everything I knew I wanted to be. I spent my youth with an ill-fitting Scully haircut, and bought suits at FAR too young an age. She was everything I wanted to be, even before I discovered Kathryn Janeway. 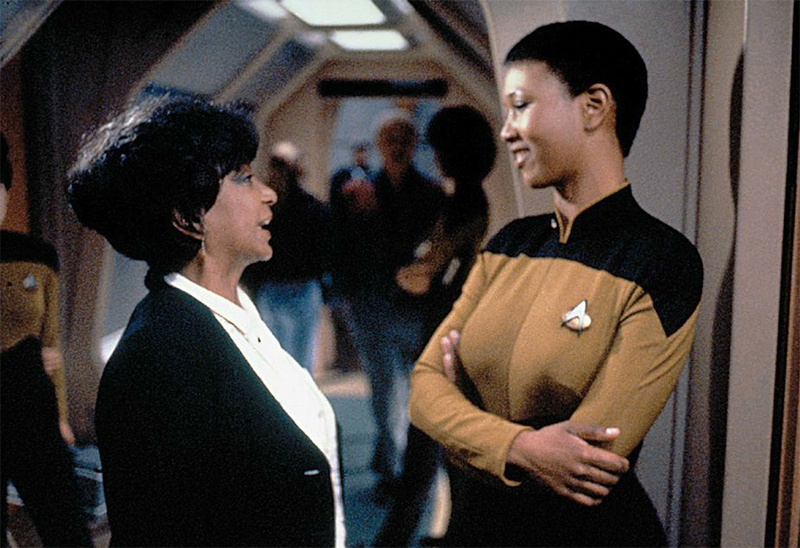 That is why, when I hear stories about Mae Jemison who was the first black woman to travel in space, her connection to Star Trek resonates with me. She was a known Star Trek fan, and frequently credited Lt Uhura as an inspiration to explore space. Additionally, she became the first real-life astronaut to appear on Star Trek, a story which may seem trivial, but is incredibly inspirational for young women. STEM fields are known for not having many women, and once I hit the last part of my undergraduate career, 15% was the magic number. From there, through graduate school, through postdoc research, conferences and visiting research trips, I would occasionally take stock of the numbers in the room, and it was almost comically, consistently one in seven, or 15%. Though there were other more senior women in my field, I never really connected with them, or was able to develop a mentor relationship. Interestingly, some of my most difficult and traumatic experiences were in dealing with fellow women. I felt alone, and without guidance from a mentor. Doing a graduate STEM degree is difficult, and can be lonely. The work is mostly isolated, and you are constantly met with roadblocks, scientifically and professionally. I started watching Star Trek: Voyager during this time, and was instantly drawn to Captain Janeway. She was everything I wanted to be at that time in my life. She was strong and scientific, but also isolated and challenged. Her perseverance gave me my own unending strength. In addition to mentorship, having companions in your day-to-day life is important, and when you find someone with a similar perspective, you are comfortable approaching them about any number of talking points or issues going on in your professional life. Star Trek not only gave me the representation of a woman of science, but it led me to building friendships with other women who had found the same. Fellow women at the university just bonded over the simple fact that we loved Star Trek. A female postdoctoral researcher in my department had just moved from overseas, and we were both trying to find friendship and a routine. She loved Dr McCoy, and I loved Spock, so we started watching Star Trek: TOS on Friday nights, over take-out curry and wine. Again, these things seem trivial, but actually have a huge impact. Finding fellow people who may have similar struggles and difficulties goes a long way to make the day-to-day life easier, and builds a relationship that transcends Star Trek and can help with our future careers. Another woman in the same program as me had come from aerospace engineering. We bonded at a party when we both realized we loved CJ from The West Wing, and quickly found ourselves discussing strong fictional female characters. While I was drawn to Captain Janeway, she had B’Elanna Torres as her guiding mentor. She related to the tough, temperamental engineer. 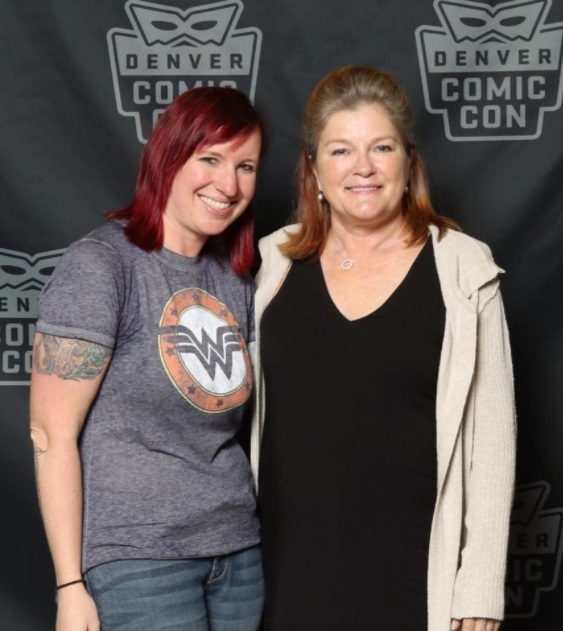 Where I related to Janeway’s need for discovery and exploration, she related to Torres’ desire to tackle problems and be involved in the depths of the machinery. 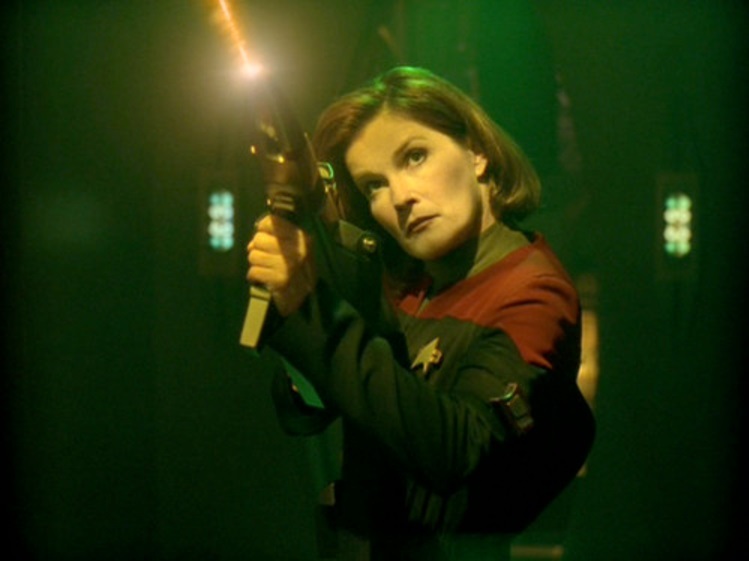 In my PhD thesis dedication I wrote exactly this: “Finally, to Captain Kathryn Janeway. I cannot describe the level of inspiration she provided me right when I was on the verge of giving up.” And I mean every word. I will never be able to convey to her how much she helped me personally, and professionally. Kathryn Janeway gave me the representation I needed right when I thought I wasn’t capable anymore. I was able to see her going through situations more difficult than I was dealing with, all while openly dealing with recognizable issues unique to being a woman. Because we are able to see ourselves in these characters, we are given the guidance and strength to pursue careers that might otherwise be difficult, or lonely. Star Trek gives us the companionship we may not otherwise have in a field lacking in diversity, and shows us that we are strong, we are capable, and most importantly, we are not alone.